Merry Laporta is stuck in Obamacare limbo. Laporta, 63, is an occupational therapy assistant at a private school in Syracuse, N.Y., and no longer qualified for the school's plan because she was working fewer hours. She suffers from arthritis, requiring injections twice a year that would cost $5,000 each without insurance. She tried repeatedly to apply online at New York's insurance exchange, but hit technical roadblocks every time. She went to an enrollment counselor trained to walk applicants through the process, but the "navigator" encountered similar problems. After a couple of hours on the phone with the state call center on Friday evening, Laporta learned the problem: She was still listed as having coverage through work. Fortunately, her boss agreed to extend her coverage until June. At that point, she's hoping she can try again for Obamacare. Though the enrollment deadline passed on March 31, those who lose company coverage can apply before the next open-enrollment season. "I'm going to try but I have no confidence it will work," said Laporta. Like Laporta, a number of Americans could not finish signing up for Obamacare before the deadline. Most, however, hope to complete their applications in coming weeks so they can gain coverage before May 1. Otherwise, they'll be left uninsured until next year. Plus, they will be subject to a penalty. It's not known how many people have been left in this limbo status. Anyone who says they tried to apply but encountered difficulty may still be able to sign up if they had already started the application process. 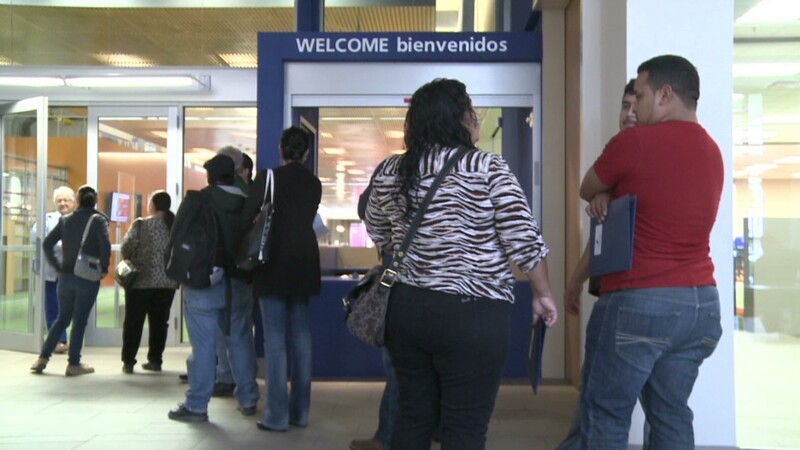 Navigators report mixed success with the special enrollment process. In Texas, Frank Rodriguez said his team of enrollment counselors are now trying to follow up and finish helping people pick plans. They say they were only able to sign up about 75% of the 500 people who visited during the Latino Healthcare Forum's five-day enroll-a-thon. The federal exchange site kept crashing and the call center was so overloaded that calls would disconnect. But there's a lot of confusion surrounding the extension period, said Rodriguez, executive director of the Austin-based non-profit. On Tuesday, one navigator was told that her client can't enroll until 2015 because she did not contact the call center by March 31. The Obama administration has been squishy about when people need to pick plans. Though the exchange site does not give a date, an administration official said applicants must finish by April 15 if they want coverage this year. States running their own exchanges have implemented their own deadline rules. Connecticut, for instance, is not allowing residents to finish their applications after March 31, while Oregon is giving people until April 30. 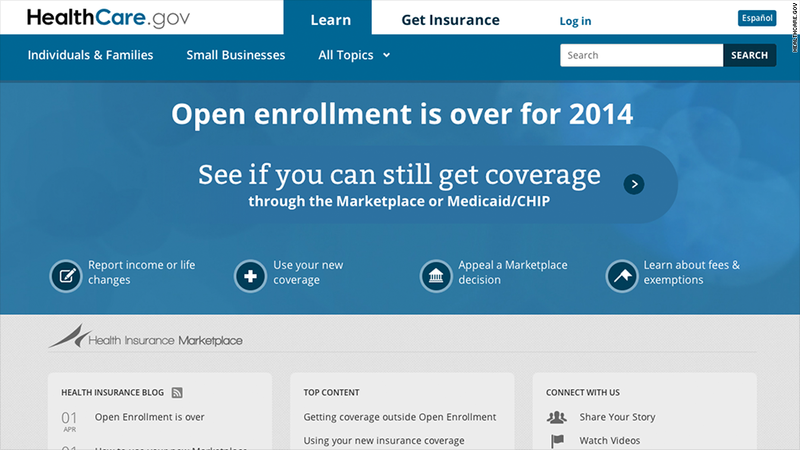 Even navigators who had a relatively easy time in the final days of open enrollment are looking forward to wrapping it up. Robin Sommer, the navigator program coordinator for the United Way of Tuscon and Southern Arizona, said only two of her clients were unable to finish the process because their insurance subsidies were not being applied correctly. Now they are in a holding period. The clients contacted the call center, but were told they'd get a call back within seven to 10 days. One tried again Wednesday after getting antsy, but a recorded message said it's not necessary to leave information a second time. "Everyone is a little nervous, including myself," Sommer said. "We just want to get it done."